I had a brilliant time at Greenfield Primary in Hyde celebrating World Book Day. 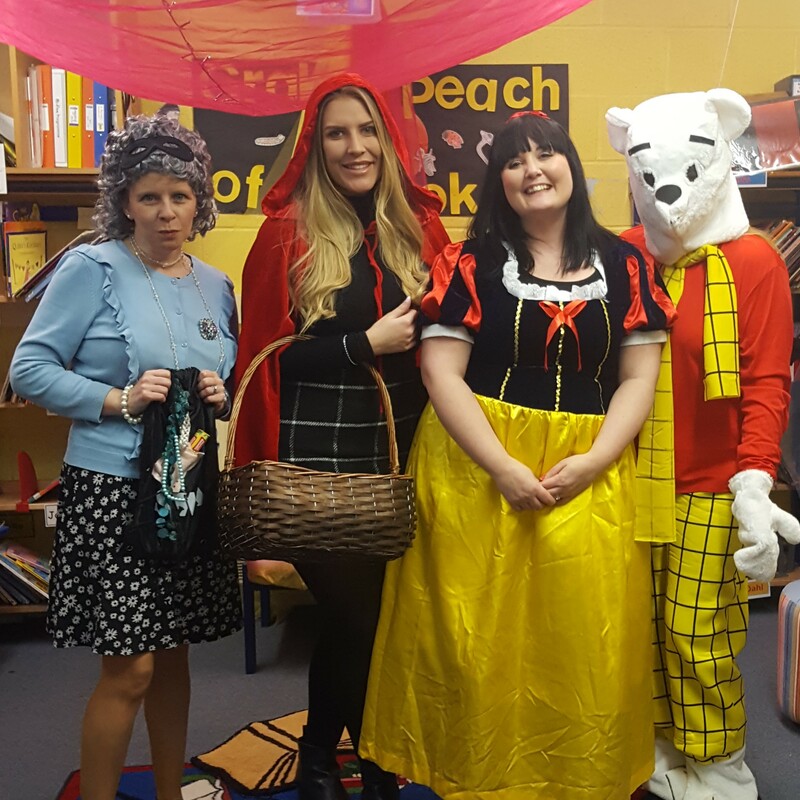 It’s always great to see teachers and kids dressed up as their favourite book characters. We kicked off, as I usually do, with a performance to the whole school. There was plenty of enthusiastic participation from pupils and staff in the hall. Through the day I did eight class workshops. 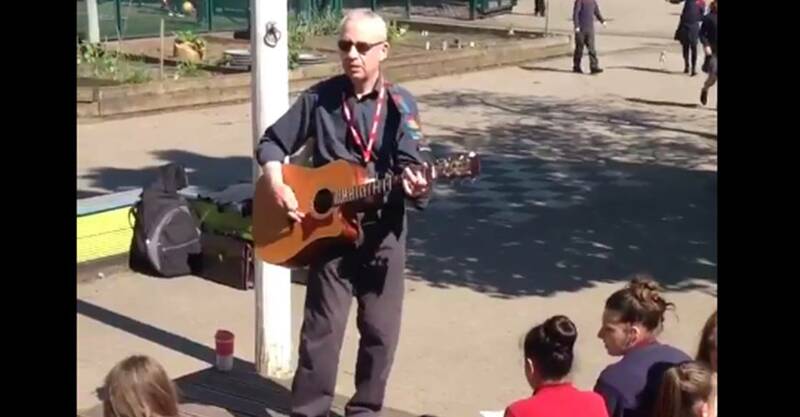 Each class, from Early Years to Year 6, produced a class poem (with guitar accompaniment) of excellent standard. Subjects covered included football, their school, friendships and music. We really loved the songs you’ve sung. To Greenfield Primary School today. UK’s National Poetry Day is usually the first Thursday in October, but this year it has been brought forward by a week to 28th September 2017. If you are lesson planning, there are a lot of free resources for teachers on the National Poetry Day Website, including lesson plans, tool kits and posters. 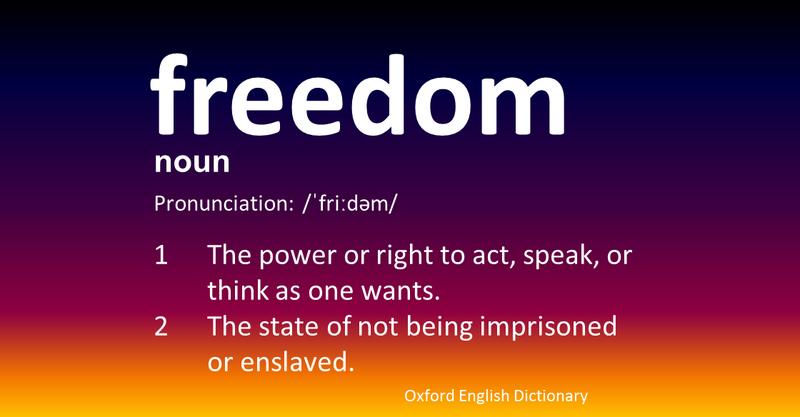 The change of week and the theme, Freedom, has been chosen because of working closely with the Hull City of Culture and the BBC this year. 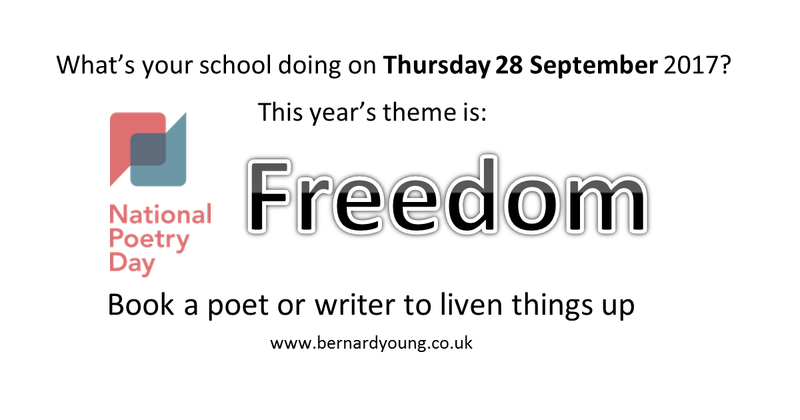 In 2015, I visited Thorseby Primary School, in Hull, for 3 days and they had Freedom as a theme then too. If you would like to read more about what we did over that period, I’ve written about it here. If you’d like me to visit your school for poetry performance and workshops around National Poetry Day, please feel free to contact me. I know World Book Day is just one day, but it turns into a whole week of celebrations in many schools, and for me. That’s a great thing. I was in a different school each day of the week and met so many wonderful students and staff, and many dressed as characters from books. One thing I am finding more frequently now when I visit a school is that the day’s events are captured in images and video and tweeted before I even get home. Here are some examples. 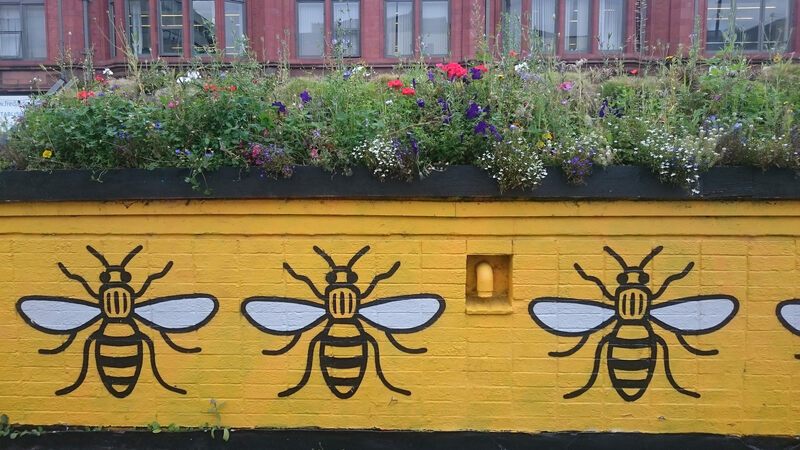 Many thanks for such great week to all of the staff and students at Hunslet Carr Primary School (Leeds), St Joseph’s RC Primary (Bolton), Christ Church CofE Primary School (Oldham), St Wildrid’s Primary School (Sheffield) and Moorside Primary School (Swinton). “We loved every minute, thanks so much – we’re all officially inspired.” Rachel Robinson, Moorside Primary School, Swinton. 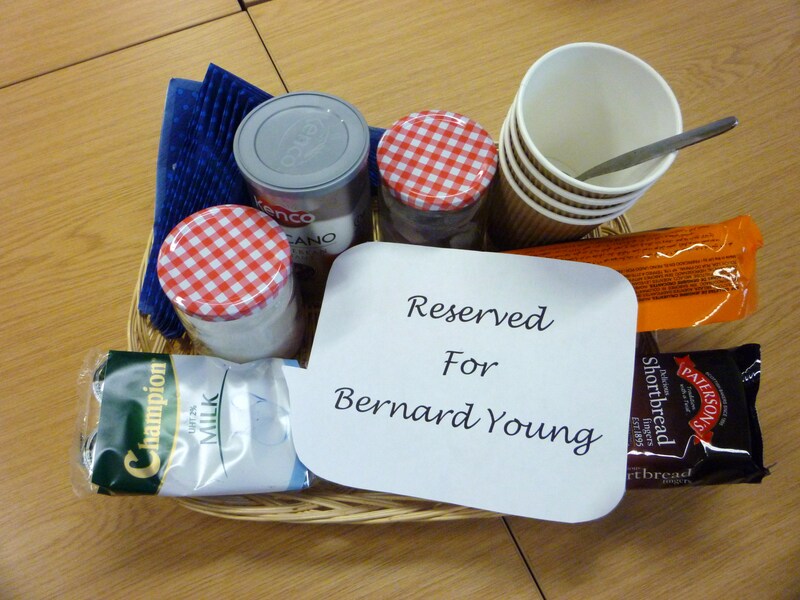 I was thrilled to be invited back to spend 3 days in Thoresby Primary School last week. It is the second time I have been part of their Kaleidoscope festival. Once again pupils and staff gave a hundred percent and we produced class poems about Marie Curie, Emmeline Pankhurst, Fairtrade, India… and all sorts of heroes. 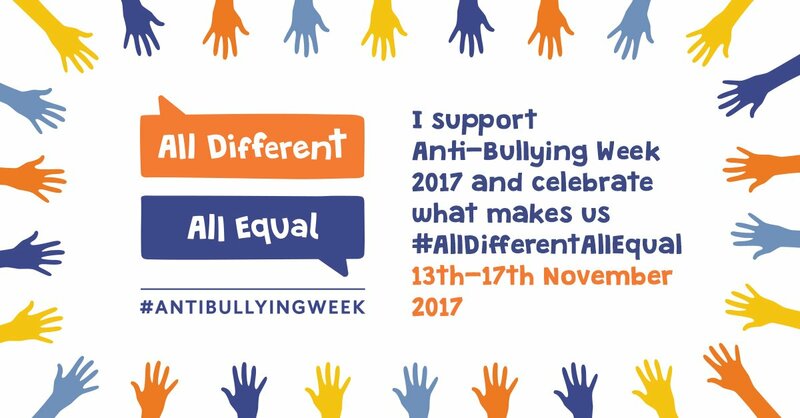 During this fortnight of exciting activities, the aim is to promote cultural awareness and confront equal opportunities issues in a positive way with a ‘celebration of diversity’. This year’s theme was heroes and people who have made a difference. Thoresby are prolific on social media, so I am including a few of their many tweets to give a flavour of the work produced. 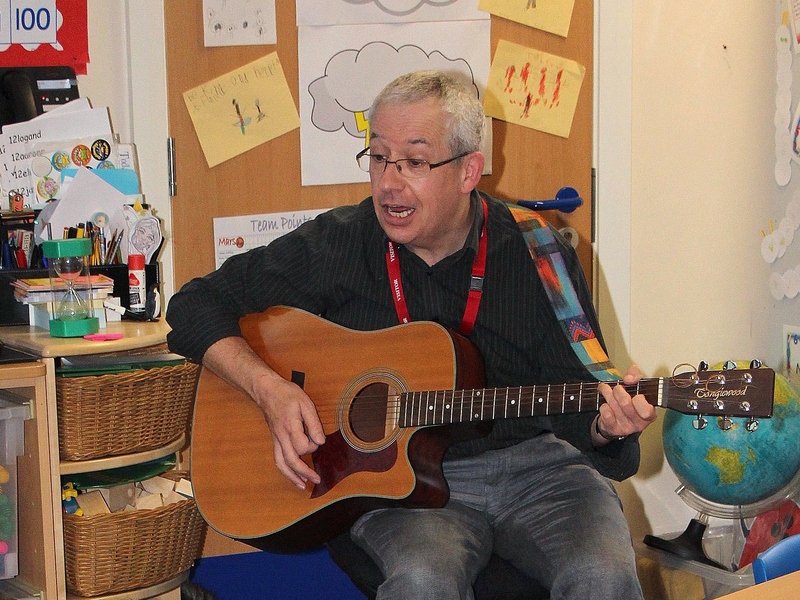 I also spent a day in Stepney Primary School. The teacher who booked me remembered me doing a performance of my poem Orange Socks in a previous school. It is several years since I performed there last. I received a very warm welcome. I gave a performance to the whole school and then led workshops for KS2. They are taking part in a poetry slam shortly, and these workshops were to help get them started. I am sure they will do well. Break a leg! Thanks again to both schools for a great time and such creative energy. UK National Poetry Day is a nationwide celebration of poetry that has been held on the first Thursday in October since 1994. 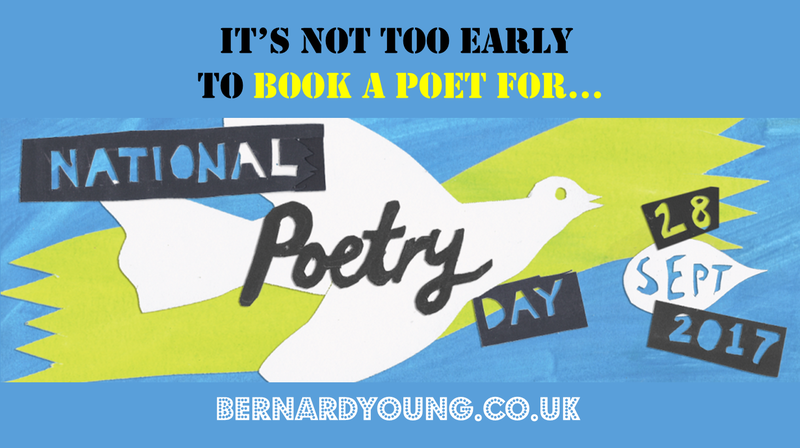 The next National Poetry Day is Thursday 2nd October 2014. 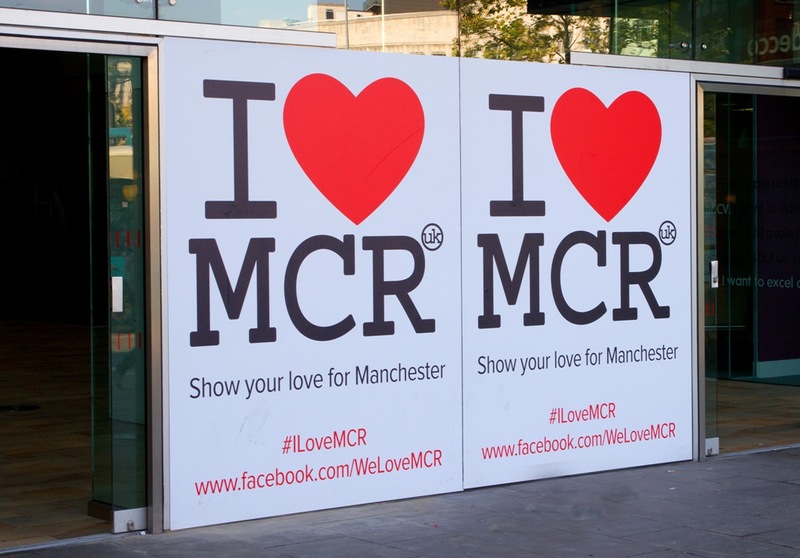 Every year the organisers suggest a theme to inspire events and contributions, and this year’s is Remember. Share your poems for the event via Twitter and Facebook with the hashtag #nationalpoetryday or post them on the National Poetry Day Facebook page and follow the Twitter account to see what other people are doing. 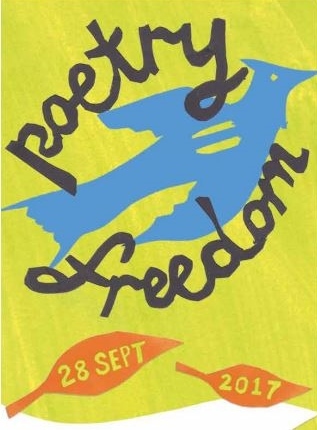 For more information about the day see the National Poetry Day Website. 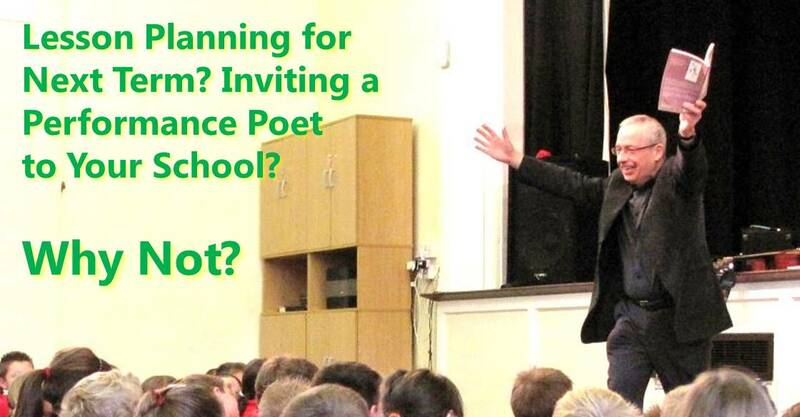 Naturally this is a busy day for performance poets who work in schools, so it is worth booking early to avoid disappointment, and also having some flexibility around the day, perhaps having a poetry inspired week. If you would like me to visit your school, please contact me. This post will give you an idea of what a day in your school could be like. than to search for a dictionary. I was caned and, unceremoniously, expelled. This poem has previously appeared on blipfoto.